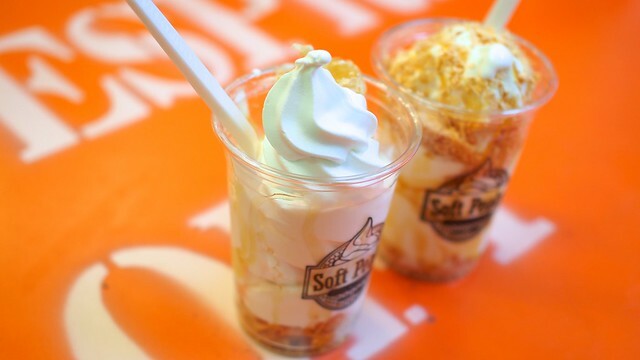 Dessert from Soft Peaks Ice Cream's soft opening in Gastown on January 17, 2015. "A twist on milk." Gastown is abuzz with a new dessert treat invading our stomachs. 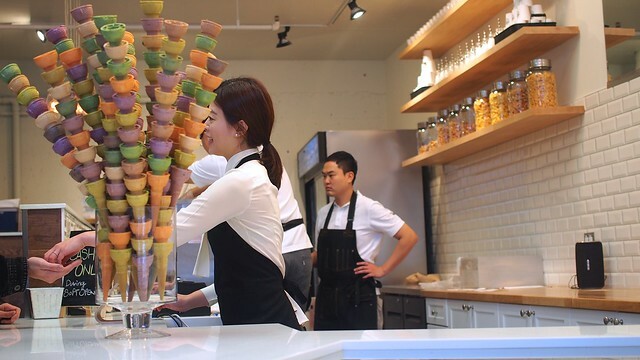 The brothers Kim (Dan and Ken) have not so quietly opened up and launched their soft serve dispensary inspired by Hong Kong/Korean style ice creameries. 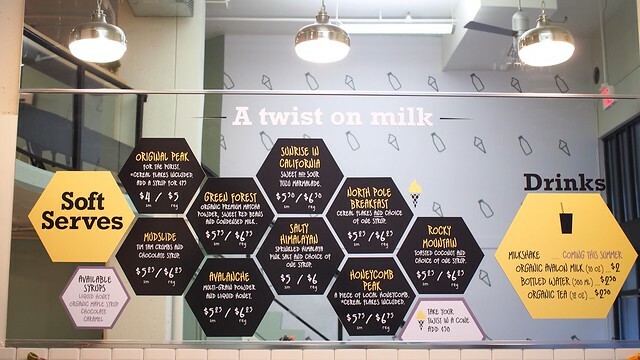 Made with Avalon Dairy organic milk and all natural ingredients, their signature soft serve ice cream twists come in a variety of combinations with interesting toppings from Himalayan pink salt to maple syrup, sour Yuzu marmalade, and cornflakes. 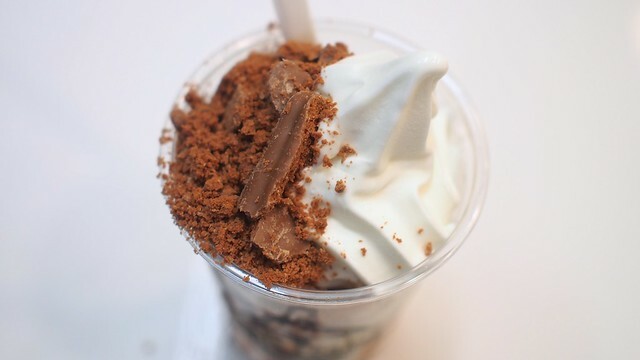 I braved the long line up and ordered the mudslide (topped with Tim Tam flakes and chocolate syrup) and very much enjoyed the rich, thick, and flavourful ice cream. It's not too sweet and the mix of toppings suit the dessert well. There's already a steady stream of visitors, packing the quaint little shop, eagerly awaiting a cup of soft serve. So far, they've run through their supply each day (closing early to reload) with their machine trying to keep up with demand (expect a friendly 10-15 minute wait) before they officially open full bore. 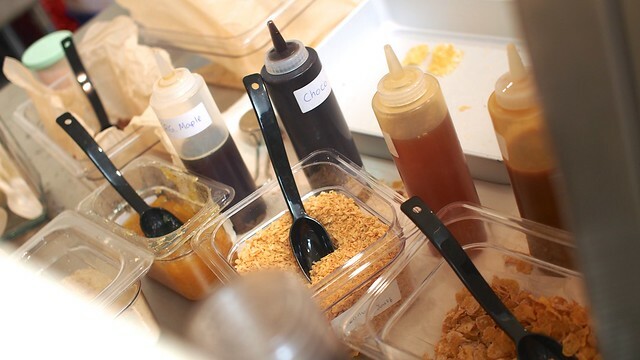 Other flavour options include the honeycomb peak (with a piece of honeycomb) and Rocky Mountain (topped with toasted coconut and caramel sauce). 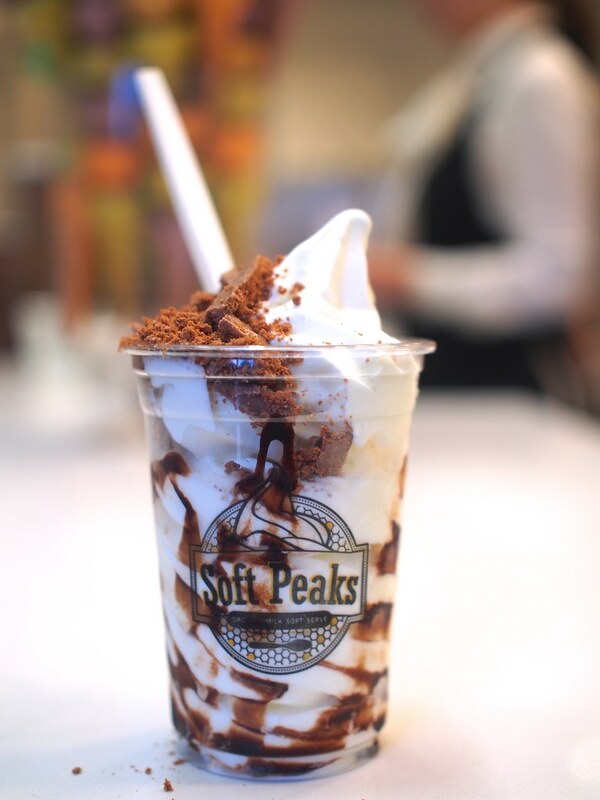 I foresee many visits to Soft Peaks to quench my sweet tooth while strolling around Gastown. Update: Soft Peaks is now open regular hours.